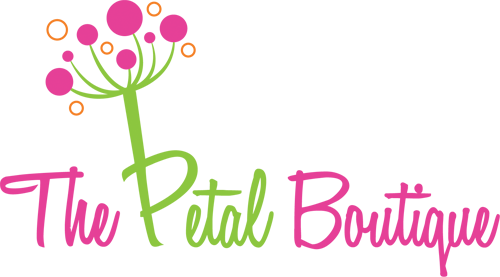 Check out our rating on Wedding Wire! You not only made my vision a reality, but you made it more beautiful than I could have ever imagined. Your work exceeded our expectations and we are so happy we had you make our wedding absolutely gorgeous! The flowers were stunning and your creativity displayed pure art. THANK YOU!!!! In looking for a florist, attention to detail was what I was looking for! Tiffany went above and beyond my expectations. Considering I am a perfectionist, it was quite a relief when I could just put matters into her hands and could trust that things were not only going to be good, but they would be great…perfect actually! I not only loved the end result myself, but had several compliments on the flowers by others as well. I would recommend The Petal Boutique to anyone looking for precision, beauty and perfection! Tiffany was wonderful to work with! Tiffany created flowers for my wedding and a year later, my baby shower! She did a fabulous job. She helped me pick out the exact flowers I wanted for my wedding, gave advice on which types would work best with my ideas, and created beautiful designs. Since my only specifications for my baby shower were that I wanted something ‘girly and pink’, I didn’t give her much to go on, but she made the most beautiful arrangements with soft pinks and light greens. I absolutely loved them! I highly recommend The Petal Boutique. Tiffany was the floral designer for my wedding in May of 2009. She did an amazing job! She listened to my ideas and looked through all of my magazine clippings with me. She was patient and helpful as I figured out what I wanted. I was most excited to see my centerpieces and I happily cried when I saw a completed centerpiece because it was like she took a picture of what I was thinking and made it real! Her attention to detail is impeccable. Several of our guests commented on how beautiful the flowers were. I highly recommend The Petal Boutique! Tiffany, the flowers were absolutely beautiful!!!!! We were beyond impressed! You were such a pleasure to work with, with a great attention to detail. Andrew and I thought the flowers made the night! Many people commented on how wonderful they were. I passed your name along ☺ We just wanted to say thank you sooooo much for making our big day so special. I worked with Tiffany of The Petal Boutique for our May 2010 wedding. From the beginning I knew I wanted to have vintage inspired décor and flowers and was not concerned with actual flower types. Tiffany was very knowledgeable and with little direction was able to understand the look we wanted to achieve. We were able to utilize a variety of flowers and she made special touches to each table arrangement. On our wedding day I was swooning over our flowers and even found some unexpected (good!) surprises that she tied in to make our wedding that much more special. I could not have asked for more and felt Tiffany went above and beyond to meet our needs both vision and budget. Since our wedding I have received many compliments about the unique flowers and I would never hesitate to recommend The Petal Boutique for any occasion. If you are considering a unique, personal touch to your floral décor – look no further! 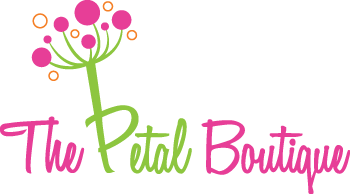 The Petal Boutique Copyright © 2018 | Designed by in Geneva, Il.